The Madonna di Custonaci, patron saint of various municipalities separated from Erice, holds today the identity of the population of the Erice area. The Sanctuary was for centuries a destination for pilgrims coming to pay homage to the Madonna who, according to tradition, arrived by sea on a Venetian of French boat, which had avoided shipwreck and landed at Cala Buguto. 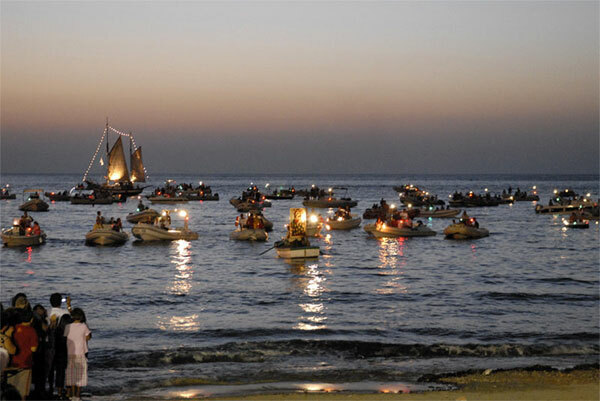 This legendary event is re-evoked on the Monday before the last Wednesday in August during the celebrations in honour of Madonna, with the arrival of a sailing boat and the carrying ashore of a copy of the famous painting in the bay illuminated by fireworks and numerous worshippers many of whom follow the sacred image in a torch lit procession to the Sanctuary.